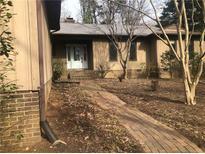 Find Concord, NC Foreclosures for sale. View Photos, Maps and MLS Data Now! The Mills At Rocky River - buyers agent to verify all information for buyer. MLS#3489381. ProStead Realty. Front porch gives a great place to enjoy the secluded and open yard. MLS#3488705. Realty Point. Gable Oaks - Remaining appliances, HVAC systems may/may not be functional. MLS#3484998. Transitions Realty. Woodcreek - ****We have a verbally accepted offer pending final signatures***** MLS#3484493. Hankerson RE Consultants. Beech Bluff - Will not qualify for USDA, FHA or VA. bank will not consider any of these financing options. SOLD AS IS MLS#3483246. Southern Charm Realty Inc.
Christenbury Mews - Property has In Ground Irrigation System. 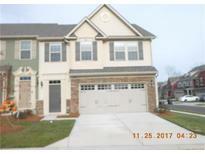 MLS#3464442. The Firm Real Estate. Glengrove - Community pool,Playground,Walking Trails,Pond and Recreation area. Must see ! MLS#3451061. The Firm Real Estate.